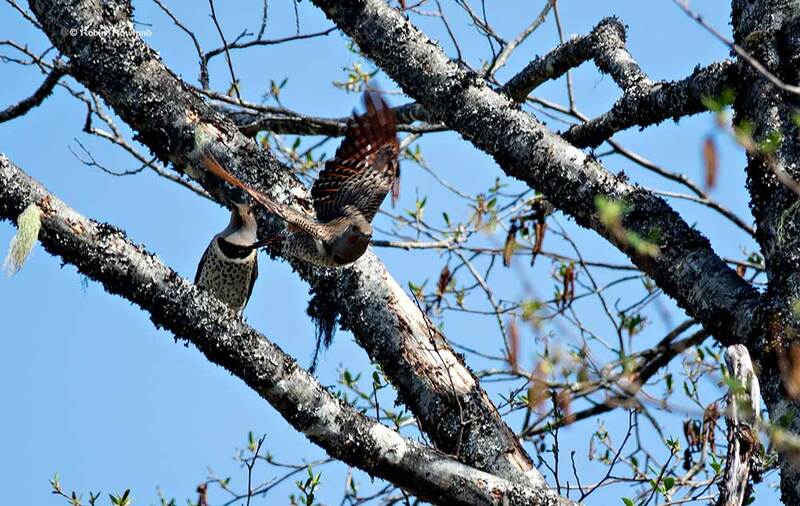 A lucky shot of a pair of Northern Flickers. (Colaptes auratus). They flew into the tree as I was walking by. Grabbed one shot as they perched, then one took off swooping toward me. Lucky shot.